In her letter to readers in the March, 2012, issue of the magazine, Martha Stewart Living editor-in-chief Pilar Guzman makes an intriguing comment about looking back to former issues of the magazine in order to move forward. 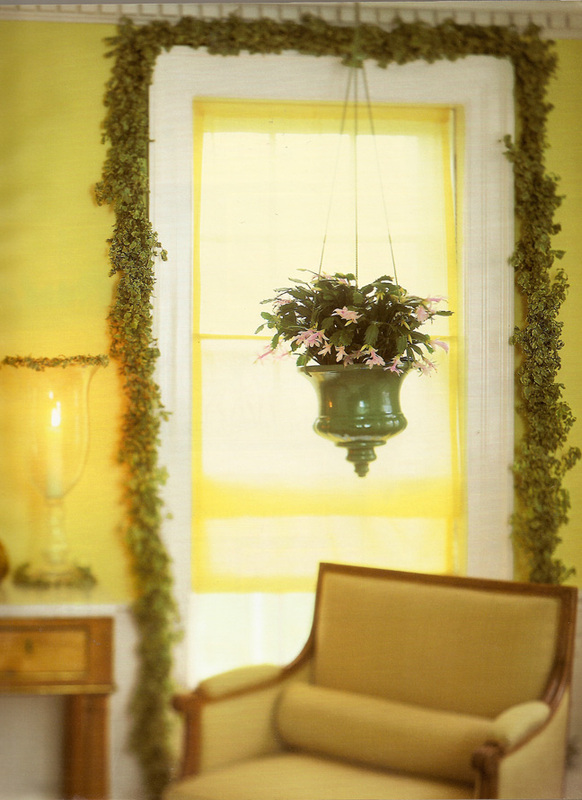 She writes: "...we will feature images on this page that inspire us from the magazine's archives. Sometimes it's important to look back in order to move forward." As a longtime subscriber, I felt like playing along! All year I have been raiding the archives each month to showcase my favourite issue. Here is my selection for December. Wow! I can't believe this is the last entry of my monthly Looking Back column. Where did the year go? Hopefully you have enjoyed the strolls down Martha's Memory Lane and have gained a bit of insight into the magazine I still call my favourite. This is my last entry until late next week. I am headed to New York City for a Christmas vacation and will return with plenty of photos to share. In the meantime, please explore the blog's various highlights or read my past Looking Back columns. Below is my analysis of why the December, 2000, issue is the best of the best. 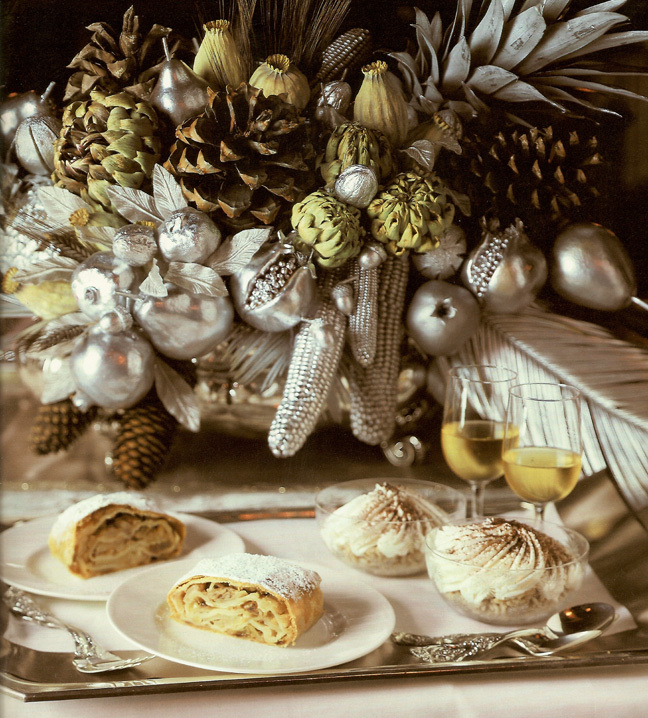 Maybe it was millennium fever, or perhaps it was that Martha Stewart Living Omnimedia was riding high on its recent public offering, but the December, 2000, issue of Martha Stewart Living magazine is a touchstone of holiday elegance. 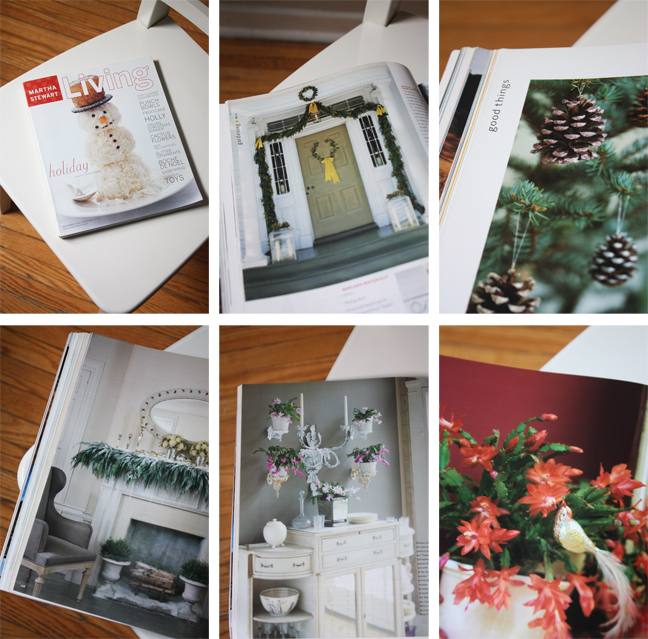 Thicker than many soft-cover books, the issue is jam-packed with Christmas inspiration that weaves a picture of understated, sophisticated holiday magic. Every page is a tribute to the very philosophy of inspiration. 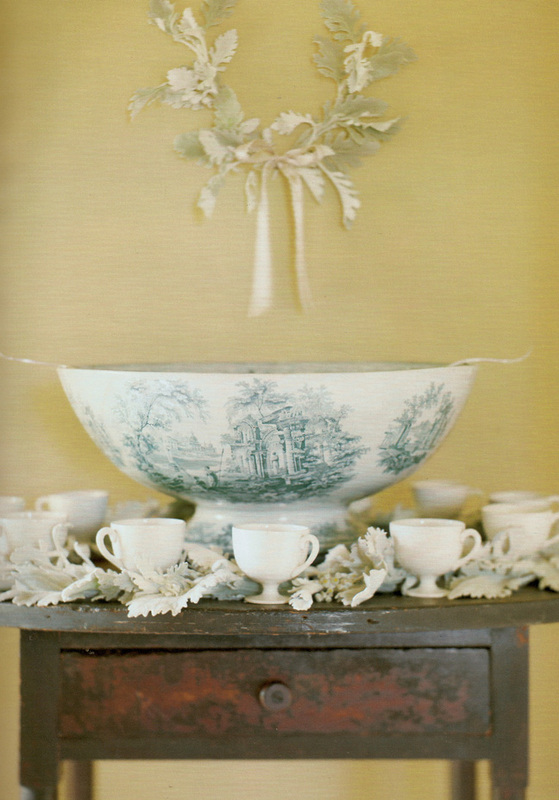 Subjects in the issue include making shortbread 17 ways, variations on the traditional fruit cake, caring for and displaying christmas cactus, handmade decorations, the history of punch bowls, and a grand dinner at one of Martha's favourite New York City restaurants. 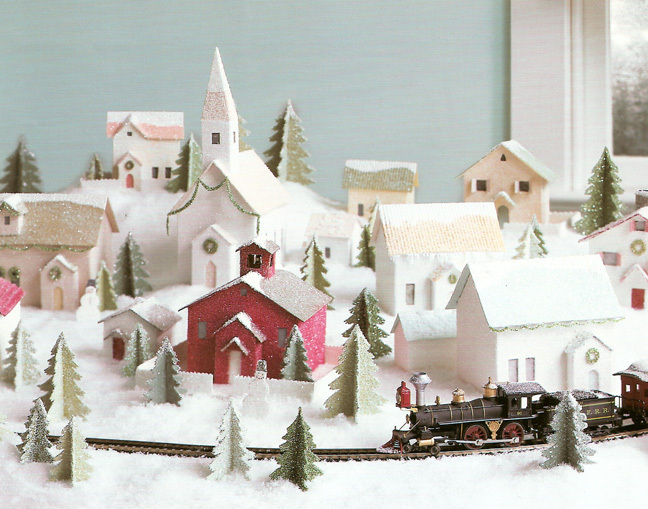 The centerpiece of the entire issue, however, is the deeply-inspired editorial spread based on the lyrics to the holiday classic, I'm Dreaming of a White Christmas. 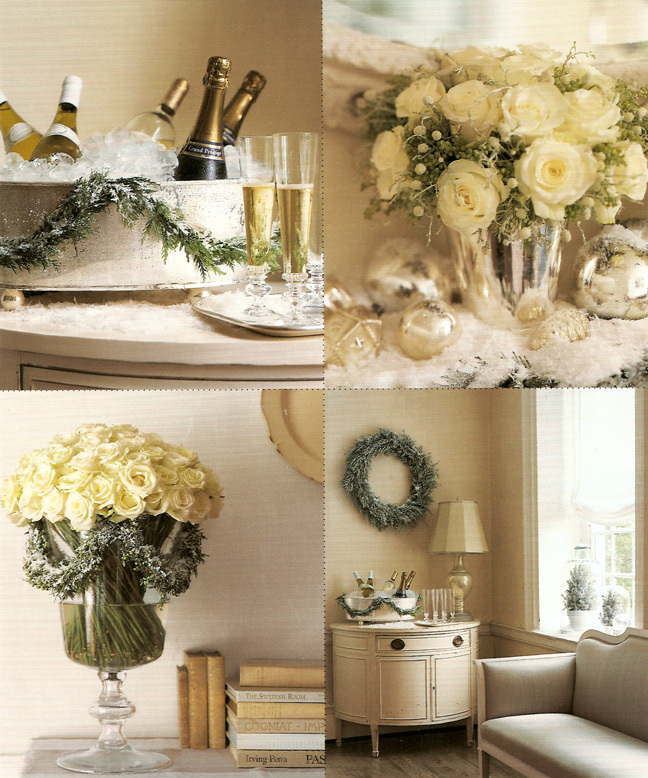 The editors bring page after page of their elegant interpretation of white at Christmastime, through beautifully-styled imagery of Christmas trees, holiday tablesettings, crafts and recipes. 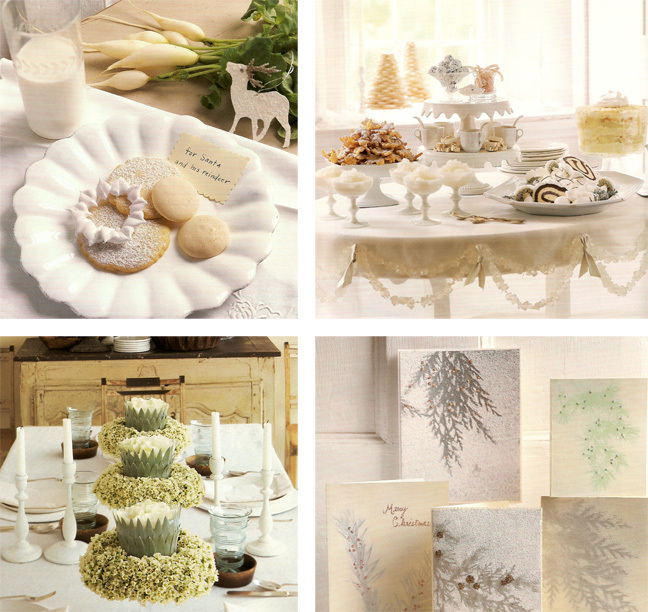 The entire oeuvre comes together to create a Christmas volume of treasured ideas that is truly magical. 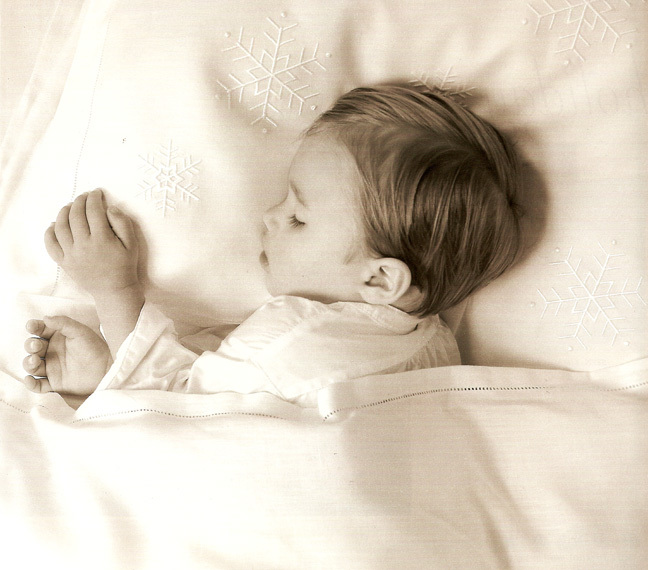 Below are images from that issue. 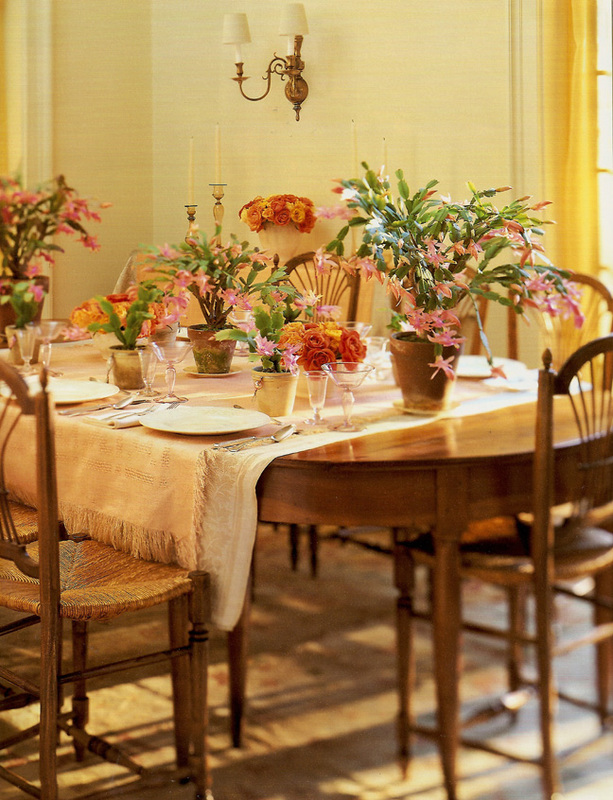 The December issue of Martha Stewart Living is usually the annual favourite for readers. This is why it was so hard to pick just one issue for this month. I've chosen six more issues that are certainly worth seeking out. 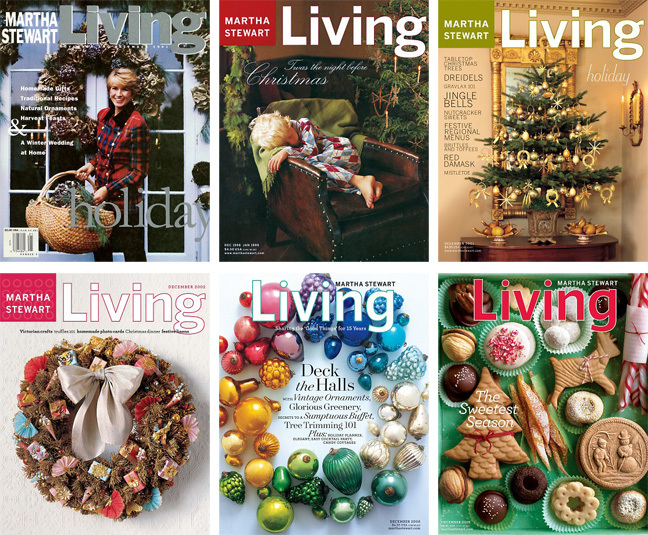 If you have these six below, plus the aforementioned 2000 issue, you have the very best of Martha Stewart Living's December issues. 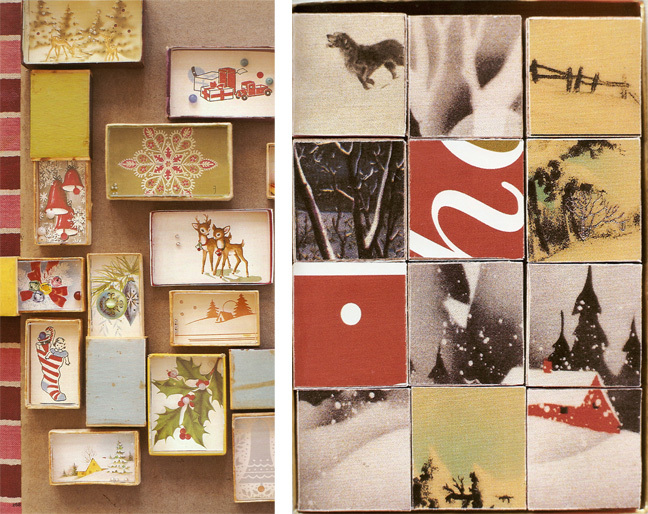 Top to Bottom, Left to Right: The December, 1991, issue of Martha Stewart Living was the first real Christmas issue, not counting the first test issue of the magazine. 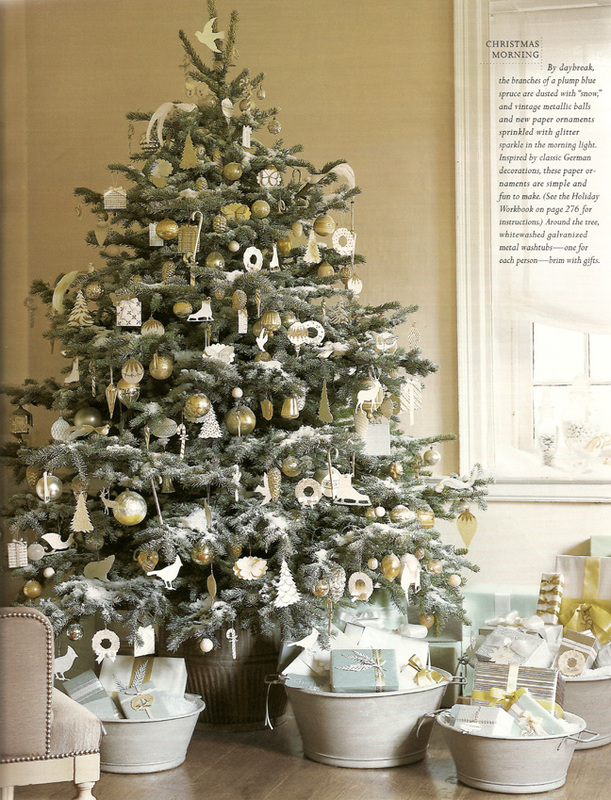 December, 1998, takes us to Skylands where Martha and her family celebrate the holidays in a woodsy way. December, 2001, heralds a golden touch at Turkey Hill with additional stories on regional holiday menus, red damask and dreidels. 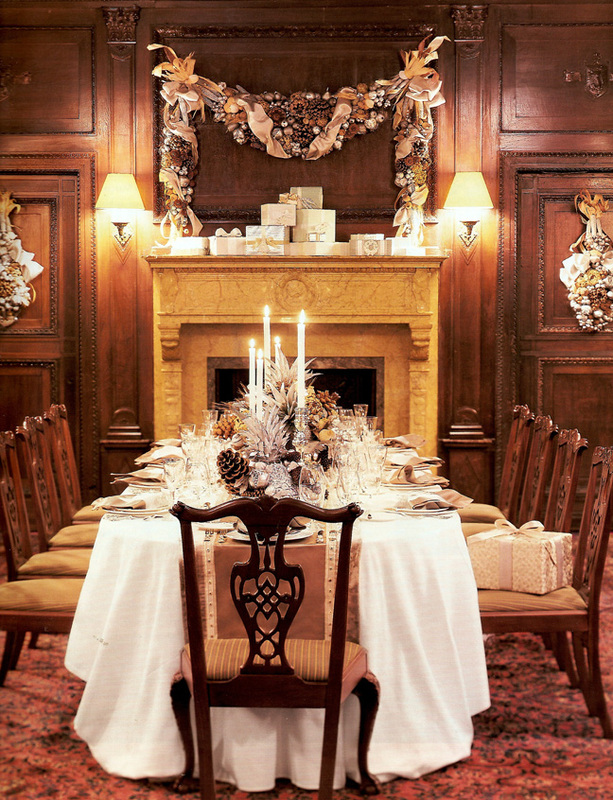 Decmeber, 2002, celebrates the holidays Victorian style with handmade decorations and festive menus. 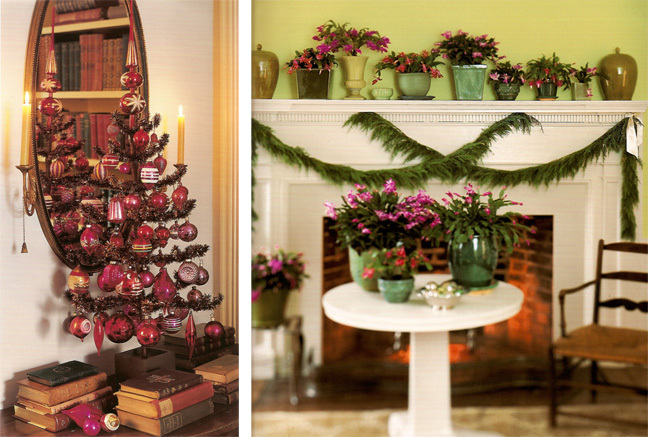 December, 2006, is all about vintage ornaments, holiday buffets, tree-trimming and glorious greenery. December, 2008, takes us to Martha's home in Bedford for Christmas carols. There are beautiful clip-art templates in this issue and excellent cookie recipes. I can't agree with you more... the 2000 issue is the ultimate December issue. I still page through it every holiday season. This is my favorite issue too, and it is the very first one of Martha Stewart Living Magazines that I saw... that´s when it all started for me, and because of that issue I became a fan and collector! Love it!! Hi Andrew, one of my favorite issues, love it! I agree! The December 2000 issue is iconic! Thank you for taking us back through it's graceful pages!!! Perfect issue choice. His instructions on how to make a table top tree I have used repeatedly. I could never be as "fussy" about the details as he or the magazine was. However, I found what I could do and was happy with those results. I have also wondered if they have kept some of their wonderful craft developers. I still hang on to these classic issues. Each year they are refreshing to look at to get into the holiday spirit. 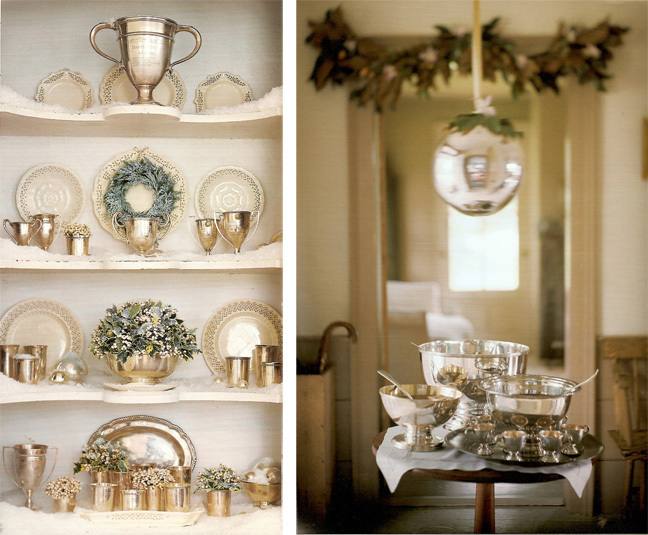 In conjunction with Martha by Mail, one could incorporate some of the touches from the magazine with their own decor. This is what I miss most. They would have synergy between platforms. 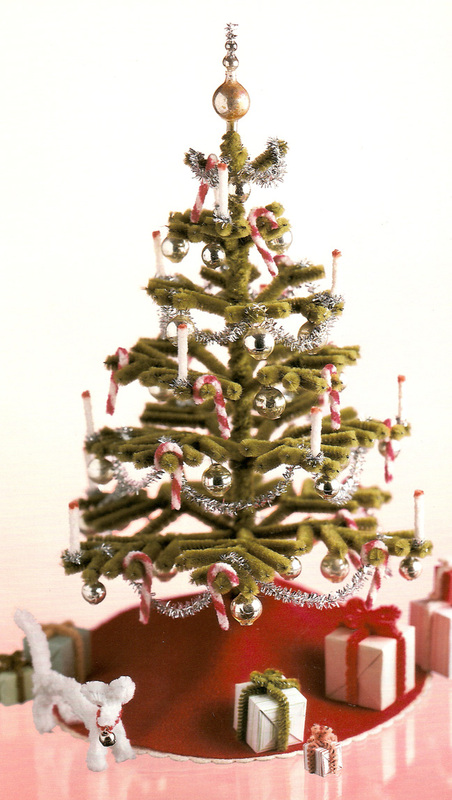 Early in the KMart and Macy's deals you would see ornaments (some even made in Germany) and decor inspired by great magazine ideas and projects. I think the idea of selling glass ornaments at Home Depot this year was not the best. I know you have mentioned it before but it looks like a catalog business would be a great thing to take on again. I have seen Martha's name on many things now that I do not see as part of a cohesive brand. I also miss the old format for the recipe cards. I enjoyed making a whole meal with them from first course to desert on special occasions. I will conclude that thanks to folks like you and other sites we can hang on to these great inspirational moments from the past. I do feel to some extent they lost their way. They have survived but at one time they were truly the best in the business.